It was Groucho Marx who wisely said "I would not join any club that would have someone like me for a member." 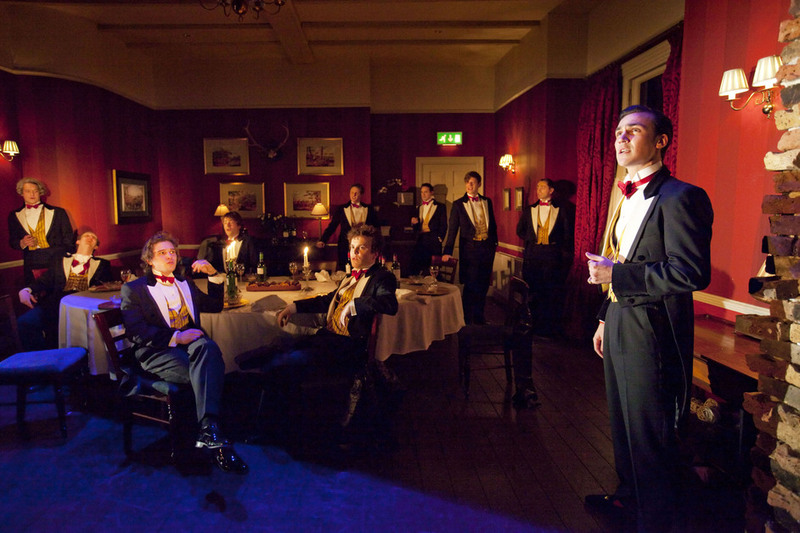 Something members of the Riot Club - a thinly veiled fictional version of Oxford University's legendary dining club, the Bullingdon - would do well to bear in mind. In Posh, Laura Wade's drama about members of the Riot Club, the elite are at play, drinking fine wines on a jolly good night out, but there's a plot hatching - they're planning a takeover. Posh is a follow-up to Laura Wade's award-winning 'Breathing Corpses' which was shown at the Royal Court Theatre in 2005. The Sloane Square theatre, under the artisitc direction of Dominic Cook, is on a roll at the moment with three of its plays, Enron, Jerusalem, and now Posh transferring to the West End. But while Jerusalem deals with the gritty working classes, Posh is at the other end of the spectrum - now it's the turn of the privileged classes to be placed under the spotlight. What are the best dining options near Posh London? Posh gyms, sporting activities, health & beauty and fitness. The best pubs near London Posh. Posh clubs, bars, cabaret nights, casinos and interesting nightlife. Where to have your meeting, conference, exhibition, private dining or training course near Posh. From cheap budget places to stay to luxury 5 star suites see our special offers for Duke of York's Theatre hotels, including Thistle Trafalgar Square, The Royal Trafalgar from 77% off.